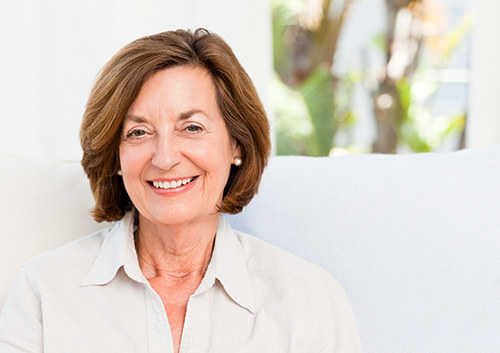 Dry mouth can be a problem for older patients, often caused by medical conditions or medications. When we produce saliva, it helps remove sugar and the acids sugars produce which attack our enamel. Without normal saliva production, we are more vulnerable to cavities. Dry mouth can also lead to mouth ulcers, oral thrush, sores and infections. If you have been suffering from this condition, talk to us. Dr. Michael DeWeerd and our team have suggestions that will help. What’s life like for the average older person today? There is no average older person! As we age, we are free to explore our interests in any number of creative and individual ways. But there is one goal we have in common: we all want to keep our smiles healthy and attractive. Call our Wayland, MI office for preventative and restorative care. We want to help you work toward an ageless smile! Dr. Michael DeWeerd will give you instructions on caring for your mouth and teeth for the next few days. Gentle care for the extraction site is vital. And treat yourself gently as well. Rest if you need to, and avoid activities that might impact your wound. How do you know if you have a dry socket? Monitor your pain and the appearance of the site after the extraction. For the first few days, you might feel some pain in the immediate area. Pain that intensifies after three or four days is usually not a result of the extraction. An unpleasant odor or taste in your mouth could be a sign of dry socket. You might look in the mirror and notice that the clot is no longer there, or appears to have been dislodged. If any of these symptoms occur, call our Wayland, MI office at once. If you are experiencing dry socket, the extraction site needs to be cleaned and protected from further injury, and we can prescribe antibiotics if needed. Call Dr. Michael DeWeerd when you find out you are pregnant. We have suggestions for your dental care that you can use immediately. Keep to your regular schedule of dental examinations and cleanings at our Wayland, MI office. If you find your gums beginning to show signs of gingivitis, call our office for an appointment. You might need to have your teeth cleaned more often during your pregnancy to avoid plaque buildup. Our team at DeWeerd Dentistry understands that the sights, sounds and sensations at a dental office can be unsettling for some patients. One effective technique that we use to comfort you is to offer the gas nitrous oxide. Nitrous oxide is a common anesthetic used during many dental procedures. Nitrous oxide is non-addictive and non-allergic, however, it may cause nausea in up to ten percent of patients. The drug is not recommended for people with some medical conditions such as chronic pulmonary disease. We recognize that all patients are different and encourage you to talk with Dr. Michael DeWeerd about whether nitrous oxide would be a good option for you. Our team wants to help all patients in Wayland, MI to overcome dental anxiety, so please, give us a call at DeWeerd Dentistry.